Are you looking to grow your business into a leading global brand? There are several marketing tools that you can use for that. However, one that has proven to be quite effective is video marketing. With business videos, you can be able to turn your company from a local business into a globally recognized brand. However, it is not just any videos that will help you to grow your brand. You need high-quality videos that are capable of engaging your target audience, and for this, you require professionally produced videos. In this post, we are going to look at various ways in which professionally produced company videos (https://www.socialmediaexaminer.com/how-video-enhances-your-business/) can add value to your brand and help it grow. Videos are a powerful marketing tool that is very effective in increasing brand awareness by providing your brand with increased online visibility. By posting your videos on social media, you can be able to reach millions of potential customers all over the world (https://www.tech-tv.co.uk/5-ways-reach-larger-audience-social-media/). Social media videos can also help to significantly increase your brand visibility through shares and viral videos. Aside from social media, videos are very effective where search engine marketing is concerned. Search engines, for example, Google, give preference to video content (over text, images, graphics, and others). As a result, if you use videos on your website, you are likely to get higher search engine rankings, which leads to increased brand visibility and awareness. Company videos are more effective at building and increasing brand trust and loyalty. This is because they tap on one of the most important aspects of human nature – that of storytelling and emotional connections (https://www.psychologytoday.com/intl/blog/inside-the-consumer-mind/201302/how-emotions-influence-what-we-buy). Through storytelling, you can be able to generate various positive emotions in your target audience – from joy to amusement, belonging, trust, admiration, anticipation, and others. These emotions make your brand relatable to the audience, thus making it easy for them to trust it, and increase their loyalty to your brand. 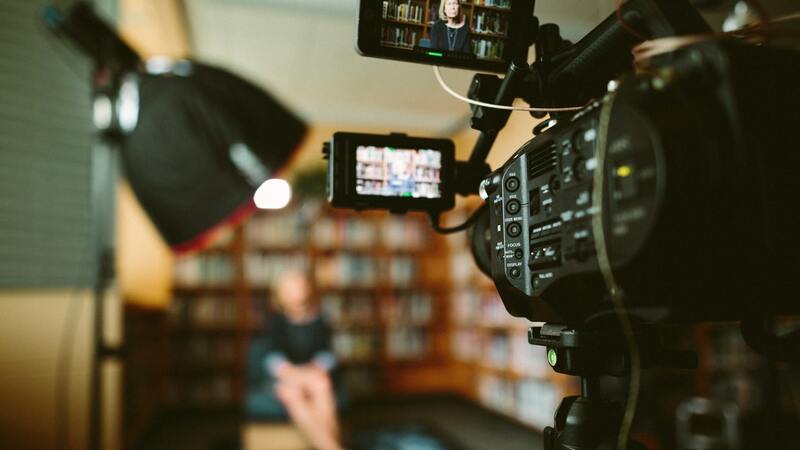 Aside from evoking the right emotions, company videos also help you to tell your brand story, offer more insightful information about your products and services, provide answers to customer questions, and so on. All of these can help to make your brand more authentic, which will, in turn, lead to more trust and brand loyalty. Lastly, company videos help to build a great image for your brand by putting a face, voice, and personality to your brand. The brand image makes it easier for you to interact with your target audience. In return, they are able to trust your brand more easily. Company videos have a far wider reach when it comes to audience engagement. This is because videos are comprised of two of the most attention-grabbing elements – motion and noise. The colorful (moving) images in videos are also very effective at capturing the attention of a target audience. These stimuli, combined with the emotional response triggered when watching the videos, makes the audience easier to engage with. Another great thing about company videos is that they are better at conveying and explaining information. This is because video can include any form of content, from sound to images, infographics, text, music, and so on. Therefore, the information is conveyed in a manner in which it is easier for the audience to understand. For example, when launching a product, a video can show (not just explain) everything the audience needs to know about it. As a result, they will be more likely to trust that information, as opposed to say text content explanation. Videos have become even more engaging in recent past due to the rise of live video broadcasts (https://www.marketingdive.com/news/95-of-brand-execs-say-live-video-is-key-to-their-2018-strategies/515532/). With live company videos, for example, on Facebook, YouTube, and other social media platforms, you can be able to interact with your audience in real time, which is more engaging. Brand videos are more effective at generating leads and converting them compared to other marketing tools. To start with, the wide reach of video content provides you with access to a large pool of potential customers who might be looking for the products and services you are looking for. On top of giving your brand a wide reach, video content is more effective at wowing potential customers. In fact, videos will attract the interest of even the laziest consumers due to their visually pleasing, interesting, and emotional content. After capturing the attention of potential customers, videos proceed to engage them through highly informative, digestible information and emotional responses. As a result, after watching one of your brand videos, consumers are more likely to develop a desire to know more about your brand, your products and services, brand events, and so on, thus generating several great leads. Videos also offer a better and more effective way of converting your leads into sales. Various types of videos (https://www.tech-tv.co.uk/4-types-of-video-that-are-effective-for-growing-your-business/) such as product videos, explainer videos, and testimonial videos can offer your leads the information they are looking for. Through storytelling and emotional connection, the videos can also make your products and services relatable to them, and influence them to purchase them. Another way in which company videos can grow your brand is by offering you a great avenue for getting your message across. Whether you are looking to launch your brand, launch new products and services, share tips and ideas, offer information about an event, provide answers to consumer questions, and more, video is the way to go. With video, you get a wide reach to your target audience, and you can be sure that whatever message you are putting across is being heard and understood. As a result, your customers, potential customers, and even employees can be able to get a better understanding of the direction your brand is heading, thanks to video content. Company videos offer your brand an endless list of opportunities, which can help it to grow into a recognizable global brand. From increasing your brand awareness and visibility to increasing brand trust and loyalty, generating leads, and increasing conversions, the benefits you can reap from videos are many. So, if you are not yet using videos in your marketing strategy, now is the perfect time to find a good video production company and start making company videos for your brand.